ZIMBABWE – The Zanu PF politburo is today set to meet amid increasing party infighting and votes of no-confidence being passed against party members on factional grounds. Zanu PF insiders yesterday told NewsDay that top of the agenda of this week’s meeting is the “high level of indiscipline, deep-rooted factional wars and a resurgence of votes of no-confidence” against certain party officials. Party spokesperson Simon Khaya Moyo confirmed the meeting, but refused to divulge the agenda. “Yes, the politburo is there, but for the agenda, talk to Cde (Ignatius) Chombo, who is the secretary for administration. He is the one who sets the agenda together with the President,” he said. Sources said the party’s national disciplinary committee (NDC), chaired by Vice-President Phelekezela Mphoko, would meet this morning before the politburo, to deliberate on a number of cases, including the votes of no-confidence passed against Masvingo acting provincial chairman Paradzai Chakona and Manicaland women’s league boss Happiness Nyakuedzwa, among other cases. “The NDC also has to present a report on requests from provinces to have some MPs, who are on suspension on allegations of factionalism, expelled,” a source said. Among the MPs whose fate is in the hands of the disciplinary committee is Mhondoro-Mubaira parliamentarian Sylvester Nguni. Nguni was early this year suspended from Zanu PF on allegations of working with ousted Vice-President Joice Mujuru to depose President Robert Mugabe and replace him with the axed deputy. Two months ago, the Mashonaland West provincial executive recommended that Nguni be recalled from Parliament, as they accused him of spying on behalf of the yet-to-be-formed People First — a political outfit linked to Mujuru and has a number of ex-Zanu PF as its members. “The NDC will have to present a report on votes of no-confidence passed in various provinces, among them, Mashonaland Central, where the provincial co-ordinating committee ousted youth league chairman, Godfrey Tsenengamu,” another insider said. Besides Mphoko, other members of the NDC include First Lady Grace Mugabe — who doubles as the Women’s League boss — Pupurai Togarepi, secretary for youth affairs, and Saviour Kasukuwere, the party’s political commissar. 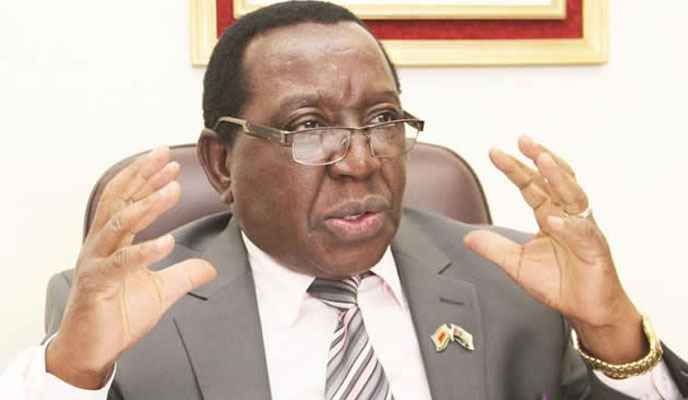 The politburo is also set to get a briefing on preparations for next month’s conference, as well as the ongoing restructuring exercises from the party’s secretary for finance Obert Mpofu and Kasukuwere, respectively.